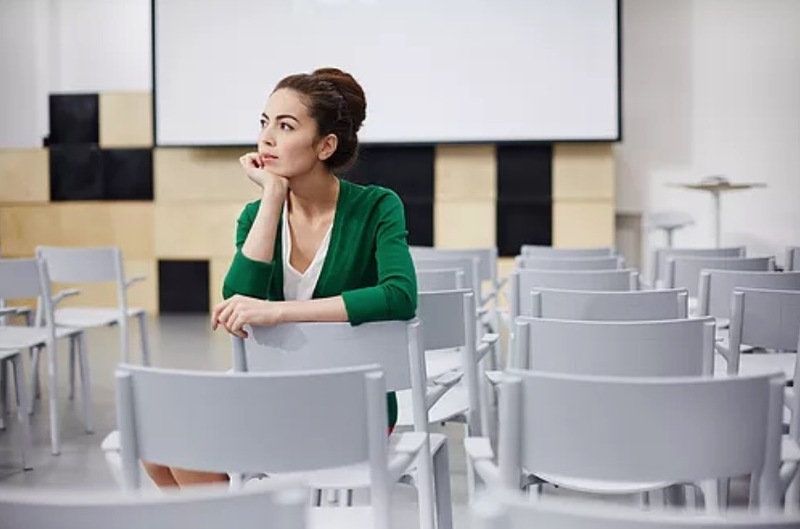 Going to college can be challenging enough, but when you’ve got to juggle working at a part-time job, as well, it can be even more stressful, and it might even feel impossible at times. But there are ways to attend school, work part-time, and have time for fun – it’s all about keeping a balance. Take a look at our top three tips below for finding and keeping the balance. Creating a realistic schedule is vital to keeping a good school/work balance. The key is to not stretch yourself too thin. Find a job that offers flexible hours that work around your class schedule, and be sure to schedule time for schoolwork, study, and leisure. A part-time job at a restaurant or retail store could be the perfect match for a full-time college student. These types of jobs offer flexible shifts that can often be adapted to your academic schedule. When you have a full schedule, it can be difficult to stay on track and keep motivated. Setting short-term, milestone and long-term goals for yourself can remind you of why you’re working so hard and can help provide constant motivation. Set attainable goals for your job and your schoolwork. This will keep you aware of your achievements in both environments and may even make it easier to get a promotion or to improve your grades in the future. Goals are also a great way to see where you’re working too hard, or where you’re not putting in enough effort. It can be difficult to balance school and work if you’re unaware of, or neglect your priorities; however, If you live in an off-campus Fanshawe residence like Foundry First, you should find plenty of resources to help keep you on track. Before the semester starts or before you start a new job, make a list of your current priorities and how they’ll be affected by the new responsibility. Create a daily time log that includes separate lists of your priorities (e.g. work and class), important activities or duties that can be postponed if you don’t have the time (e.g. going to the gym or doing the laundry), and unimportant activities (e.g. watching television). Additionally, use a weekly calendar to track your time and help you estimate how much time you’ll have for extra activities after taking care of your responsibilities. Whether you have a part-time job or are looking for one, put these tips into action to find and keep the perfect school/work balance. If you’re new to the campus, and new to the area, make sure you have ample time to check out your new home and campus. Mark the locations of your classes, potential study spots, and any important shopping locations. Early scouting could help you save time and avoid stress later. Whether you need to bring your own furniture will depend on the type of housing you’ve chosen. For instance, at our student rental, London students only need to bring clothing and personal items to decorate their rooms and suites. Our suites are furnished and fully equipped! Surprisingly, missing the drop deadlines or attempting to drop courses after the deadlines are mistakes many freshmen make. Once you’re settled and ready to start your classes, check the add and drop dates for your institution. This will prevent you from getting stuck in a course you don’t like or that was added to your schedule by mistake. 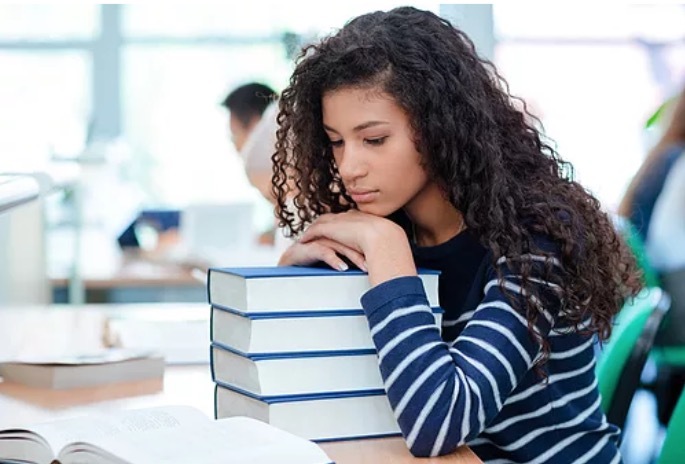 Moreover, if a course is too difficult, conflicts with others on your schedule, or just isn’t a good fit, dropping it before the deadlines passes could prevent a great deal of stress. This tip may seem pretty unimportant, but knowing the number off by heart can save you time and hassle. You may need it to purchase textbooks, find your grades in the school’s system, and more. Plus, your professors and administrators will ask for the number occasionally as well. One of the best ways to prepare and avoid stress during the busiest times of the semester is to create a chart for your assignment due dates and upcoming tests or exams. Sharing comprehensive notes with classmates, joining a study group, or finding a study buddy are other ways to start the school year well and stay ahead. Finally, find a quiet, comfortable, relaxed place to complete assignments and study. Without a quiet place to study, you might find it hard to focus. Now’s the time to start thinking about the upcoming school year and what you can do to prepare for a great first year! General or free electives give college or university students the opportunity to take classes that spark and satisfy their interests. Whether these electives are additional courses in your degree program or some other area of interest, such as music or art, these slots can be filled with electives that push you outside your comfort zone and open you up to new experiences. For example, you could take a theatre arts course to help with shyness, self-esteem issues, or social anxiety. This is a tip that only works during or after the first semester, but it’s still a viable strategy for choosing electives. If you’re curious but unsure about an elective, you could audit the course – formally or informally. To formally audit a course, you must apply with your college or university. Upon approval, you will be able to ‘sit in’ on, and even participate in, the class. You decide when to attend the course lectures and how much time to spend in the class or on coursework. Formally audited courses will also appear on your transcript with no bearing on your grade point average (GPA). To perform an informal audit, ask a professor privately to ‘sit in’ on their lectures. Most will be welcoming and allow this form of auditing. The entire process can be looked at like touring an off-campus apartment, such as Fanshawe College housing, before moving in. For ideas on electives to take, look at your own interests and your major. For example, if you’re interested in the solar system, consider taking an astronomy course. Classes that match your interests offer major benefits, including providing relief from your normal academic schedule. You should also look for courses that fit your major or components of your major or future career. Most majors are multi-faceted and offer interesting and exciting courses that can be taken as electives. In fact, some electives are tailored for certain majors. It could also be beneficial to take electives that can help you build ‘soft’ skills for your future career. Humanities courses are advantageous to business majors, while statistics courses are advantageous to social science majors. The best electives will go quickly, so be decisive and choose your electives as early as possible. If you don’t, you will have to choose from the ‘leftovers.’ Leftover courses are those most students don’t want to take because they’re notoriously mundane or difficult. Don’t let this happen to you. Choose courses that match your interests or that are highly recommended. For advice, check out online student forums, chat with former students or current upperclassmen, and ask your academic advisor for recommendations. Most academic advisors know which electives are popular or what will work well with your schedule. Besides, choosing your courses well before the semester begins leaves plenty of time to switch to others if your interests change. If you’re getting organized for the upcoming school year but have yet to reserve your place in Fanshawe College housing, now’s the time to book a tour of our off-campus residence. Contact us today! 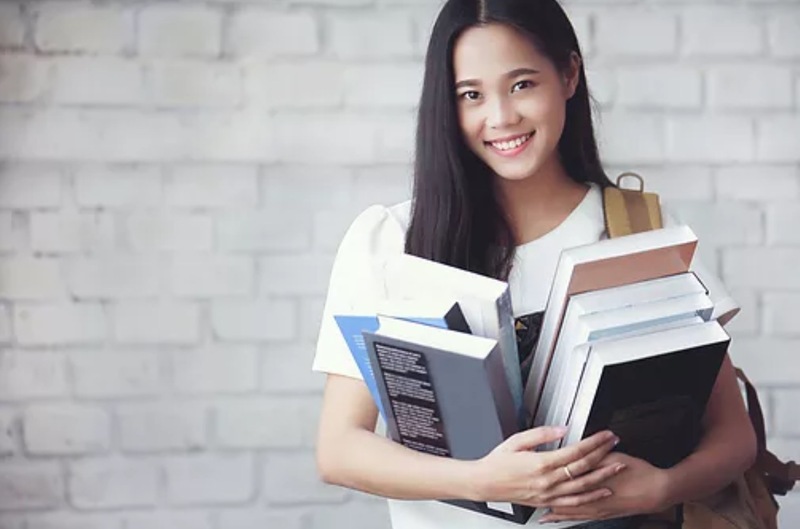 There’s no doubt that your first year of college will be exciting, but moving away from home for the first time and having greater independence and a whole host of new responsibilities will probably be a little intimidating, too. 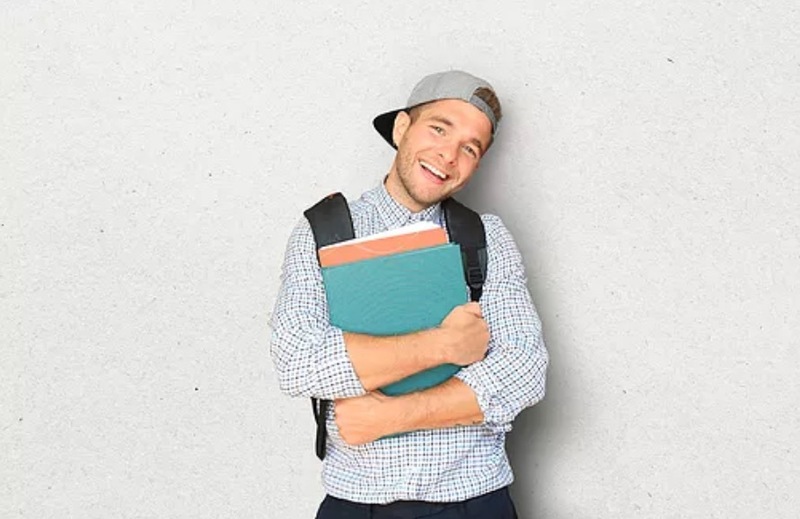 Learn how to successfully navigate the academic and social worlds of college with some useful tips that include: striving to get along with your roommate, being flexible, taking your coursework seriously, creating and following a schedule, and getting involved with student activities. Especially in their first year, most students will live with a roommate and, often times, it’s an individual they don’t know beforehand. While some roommate pairings seem to be totally natural right from the beginning, others take a little work to establish a friendship or at least a good system for sharing a living space. At our off-campus Fanshawe College residence, we provide a roommate matching service that is an effective way to ensure you’re paired with other students who suit your personality and share some of your lifestyle preferences. No matter where you choose to live, one of the easiest ways to create ‘roommate harmony’ is to establish some rules. This list should include how you want to approach sharing food or other items, study time, having guests (especially overnight guests), going to bed, and more. Being flexible can keep you open to, and ready for, change. Since post-secondary is a new adventure and a major adjustment, you will need this flexibility. Flexibility and openness will also come in handy when meeting people from different backgrounds with different values, personalities, etc. The more flexible and open you are, the easier it will be to understand, investigate, and accept these differences. Flexibility can also help you with course selection. If you’re open-minded and looking to explore new areas, you can find plenty of interesting and unique courses. Unique activities and experiences also await students who are willing to try them. Knowing that change is inevitable can make you accepting and less anxious when it happens. Don’t panic if your interests change or if you begin to disconnect with old friends or even members of your family. It’s a part of growing up, especially as you learn new things, meet new people, travel to new places, and have new experiences. There are lots of opportunities for fun, but your primary goal is to learn and not to party. Learning at the collegiate level is much different than learning at the high school level. Your professor won’t hold your hand by making sure you’ve completed reading assignments, are taking notes, or will turn your assignments in on time. Follow your plan carefully and refer to it when needed. Additionally, only write your schedule in pencil or erasable ink, as this makes it easier to change some things or delete them from your plans. Joining a club, volunteering, or playing sports can promote school pride. It can also promote personal pride and confidence, raise self-esteem and self-awareness, and make you feel like you’re a part of the school. Involvement in activities is also an excellent cure for loneliness and a way to exercise your talents or feed your interests. Last but not least, one of the best ways to ensure a great first year at school is to find awesome student housing. Foundry First is an off-campus Fanshawe College residence and your source for a fun and comfortable living environment. Contact us today for more information. Whether you’re still in school or you are just finishing college, finding a job may be pretty high on your list of things to do. There’s a lot of work involved in finding a job, whether it’s a full-time career or a short-term job for the summer, but the feeling of getting the job can make it all worthwhile. Before you get the job, you’ve got to nail the interview. In fact, the interview may be the most important part of the job application process. A good job interview takes research and preparation. This means learning as much as you can about the company and position you’re applying for and practicing for the interview itself. 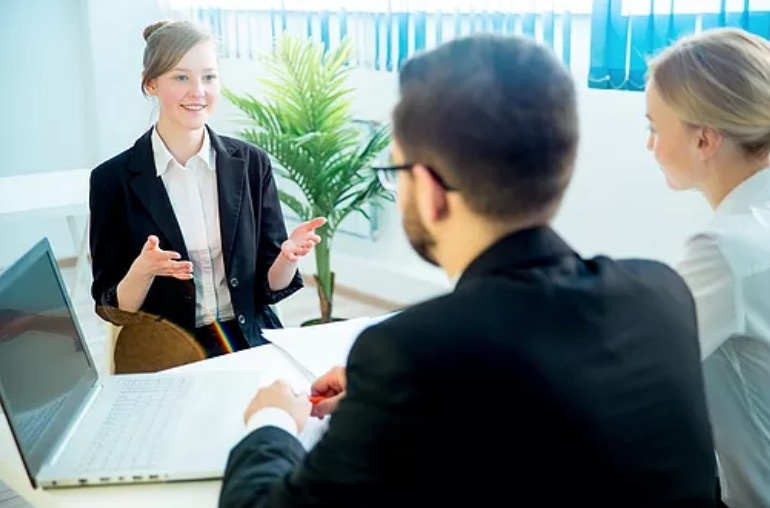 Here are some great interview tips to keep in mind, whether you’re trying to get a part-time position for the summer months or whether you are looking for a full-time career. Obviously, your conversations skills also matter during an interview. Be concise and sincere about your skills and interests while actively engaging with the interviewer. Additionally, stay relevant and on topic, steer clear of rambling and needless jargon, and avoid hot-button issues like politics and religion. Remember to also speak clearly and at an appropriate volume while maintaining eye contact. Doing research is actually the first step in the interview process. Before the interview, research the specifics of the position you’re applying for, as well as the company you will be working with. First, check out their social media profiles and their website. Then, search for press releases and any news articles that feature them. Some employers may ask specific questions about your position and their organization to test if you’ve done your homework. Knowledge about the company or certain subjects could impress a potential employer. However, don’t go overboard with the information that you present and wait for the interviewer to ask you questions. If you’re attending a job fair, research the participating organizations. This information can be vital to your success, give you a leg up on the competition, and streamline the application process by helping you narrow down your options. Plus, employers often conduct on-the-spot interviews at these types of events. It’s well known that you should dress appropriately for an interview. Ideally, you should wear ‘smart’ casual clothing. This is clothing that’s not too dressy or too casual. You don’t need to wear a formal suit or dress, but it’s wholly inappropriate to wear sweats or a casual t-shirt and jeans. That said, the appropriate style of dress could also depend on the type of position you’re applying for. For example, if you’re applying for a position in construction, your employer would probably be impressed by cargo pants and work boots. An elevator pitch is basically a brief sales pitch designed to ‘sell’ you to your potential employer. Begin every interview with this type of pitch but keep it short and succinct. In a brief statement (approximately 30 seconds) tell the interviewer who you are and what you have to offer their organization. Be passionate, professional, and sincere. This little speech serves as your first impression and could set the tone of your interview. Just don’t forget to express how you fit in with the company while standing out as an employee. Practice your pitch with family, friends, or even a professor or two before the interview. Help from others could provide you with some valuable feedback and help you create the most compelling pitch possible. Most people believe it’s the potential employer’s job to make the first move after an interview, but this isn’t entirely true. In fact, asking how and when to follow up is a great way to show an employer how serious you are about getting the job. The number and type of summer courses you take can affect the number and type of winter and fall courses you’re required to take. 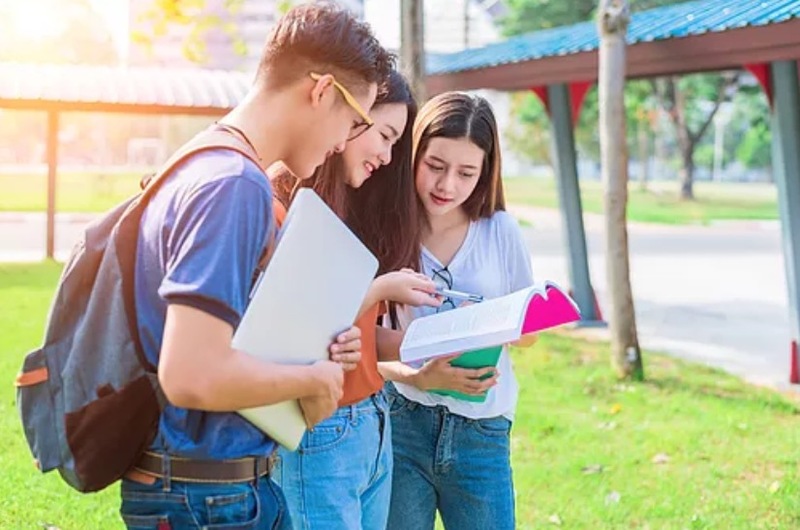 Taking some summer classes can lighten your course load during the rest of the school year, which can be very helpful for some students. That said, keep in mind that some degree programs may not allow summer courses, and some require students to take at least five courses per term. Figuring out which classes to take and when to take them can be confusing, so always ask your academic advisor first. It’s also important to keep in mind that dropping down to part-time status during the academic year may change the access you have to on-campus or student government-run services; make sure you check with the Registrar’s office about what a part-time Fall or Winter course load could mean for you. Mistakenly, some students are under the impression that summer classes are shorter than fall and winter semester classes. While that is occasionally true, summer courses are often the same length as fall and winter courses. This should be a major consideration if you’re balancing work and school. For many students, the summer provides an opportunity to work more hours and make more money, so taking courses that last the entire summer can make this more difficult. Remember, though, that the length of a course can depend on the course type. Shorter summer courses are often a condensed version of fall and winter term courses, so keep this in mind as you create your course schedule. It may be counter-productive to take a condensed version of an important class, especially one that’s vital to your program. When you’re a college student, finances are a major part of every decision you make. Your financial situation affects everything from the food you eat, to where you live, to the courses you take. Financial assistance and student loan programs only provide a certain amount of money per year and may not fund summer courses. Additionally, taking summer courses may expend precious funds needed for fall and winter courses. So it’s imperative to consider your financial situation and options before signing up for the summer semester. Although it’s possible to take courses during the summer months, the variety of courses offered can be somewhat limited. For this reason, you shouldn’t assume that any and/or all of your pre-requisite courses will be available. Fortunately, there are typically plenty of electives offered in the summer term and you may also have the opportunity to take some of those classes online. Whether you’re planning to take courses this summer or you are thinking ahead to the fall, don’t forget to secure a quality student rental. London, Ontario offers many options for off-campus student housing, but only Foundry First offers premier housing at affordable prices, just steps away from Fanshawe College. The ‘January blues’ or ‘winter blues’ is a challenge for many Canadians, including college students. Once the holidays end, it’s back to school and back to responsibility, which is a transition many students just don’t want to make. Plus, the cold weather can make this transition even more daunting and depressing. Depression during the winter is known as Seasonal Affective Disorder (SAD). It can affect many college students and dealing with the issue begins with educating yourself. Below are the symptoms, causes, and treatments for SAD. SAD is simply defined as seasonal depression that happens most commonly during the colder months. Symptoms of this disorder include fatigue, loss of appetite, lack of motivation, trouble concentrating, agitation, weight loss, insomnia and restlessness, suicidal thoughts, decreased interest in personal and social activities, and feelings of hopelessness. Seasonal affective disorder is caused by a reduction in the hormones serotonin and melatonin due to reduced sunlight during the winter. Serotonin controls mood, while melatonin causes sleepiness. Changes in these hormones can lead to depression or SAD. If you find you’re having suicidal thoughts, please seek help immediately. Light therapy is the most common and most effective way to treat this disorder. This therapy comes in the form of a light therapy box, which students can purchase from many places online or that they may be able to borrow from their doctor’s office. The box mimics natural light and helps to increase and balance serotonin and other hormones. Treatment requires the patients to sit in front of the box every day until the symptoms disappear. Patients may also be prescribed psychotherapy or antidepressant medication as supplemental or alternative treatments. Psychotherapy teaches patients how to manage stress and cope with their symptoms, while antidepressants help regulate chemicals in the brain, reducing certain symptoms. First, seasonal affective disorder must be diagnosed by a physician, but there are some campus resources that can help you as well. For example, you could visit the college’s health centre to get a preliminary diagnosis or rule out the possibility that your symptoms are caused by another health condition. You could also seek therapy from one of the specialists at the school’s counselling centre. Talking to, or simply hanging out with, friends or roommate(s) could also help you cope with some of the symptoms. Some colleges even have student organizations designed to help students who are suffering from depression or other mental health issues. Being in touch with a community is often an effective coping mechanism for depression. If you’re living in London, Ontario apartments for students, like Foundry First, this type of off-campus housing offers a rich sense of community. Seasonal Affective Disorder can affect anyone, but some individuals are more susceptible to it than others. For example, young adults are more susceptible to the disorder than older adults, which is why it’s so common among college students. Those living in colder environments, such as Canada, are also more likely to develop SAD. Finally, female students have a higher susceptibility to the disorder than male students because of differences in hormone levels. If you think you may be experiencing some of the symptoms of SAD, please talk to your doctor about additional things you can do to overcome or at least cope with these challenges. Although you may not need your textbooks the first day of class, you’ll need to purchase them as early as possible. This is because textbooks, specifically used textbooks, literally fly off the shelves. If you wait too long, you could end up paying significantly more for your books. Before the semester begins, find out which textbooks you need and purchase them in the campus bookstore or online (if you can’t get to campus). Just remember to look for used books first. It’s always a good thing to start off the semester with a little extra cash in your pocket! A fresh environment can give you a fresh start. Creating a fresh environment can include cleaning your living space, redecorating, or moving to a new space. For example, moving off campus offers a bigger living space, more freedom, and an array of amenities. This can provide you with a sense of peace, comfort, and mental clarity, which can all help you improve your study habits and overall academic performance. If you’re staying on campus, make sure your dorm room is clean, add new decorations and furnishings, or move some furniture around. This can also create a more tranquil environment that’s conducive to good study habits. That said, most students will agree that there’s nothing like having your own space, such as an off-campus apartment. If you’re wondering how to find off-campus housing that’s just the right fit, simplify your search by checking out our suites at Residence on First. A journal of goals is simply a notebook that includes your short-term and long-term goals. This could be as simple as “Attend five parties this semester,” or as complex as, “Maintain the highest marks in all classes.” Your journal can also be used to keep track of your daily, weekly, and monthly tasks. Not to mention, it can help you manage your time well, set priorities, plan academic events (i.e. studying or research sessions), track assignments, set health-related goals, and even improve your academic performance. Start the upcoming semester and the year off right – start planning for success! When you’re in college, living off-campus can be fun and exciting, but it can also be somewhat overwhelming. Chances are, you’re doing a lot of things on your own for the first time. Believe it or not, one of the things many students find challenging is grocery shopping on a budget. It may sound simple, but eating well can become expensive and cutting costs can be difficult. Luckily, there are some tips you can use to help you save money and step up your grocery-shopping game. It’s not impossible to shop without a list, but it’s also not efficient. Making a list is budget-friendly and time-effective. Not to mention, it can prevent you from forgetting important items. A grocery list is also a good place to do some meal planning. You can make a list of ingredients or create meals from some of the items on your list. 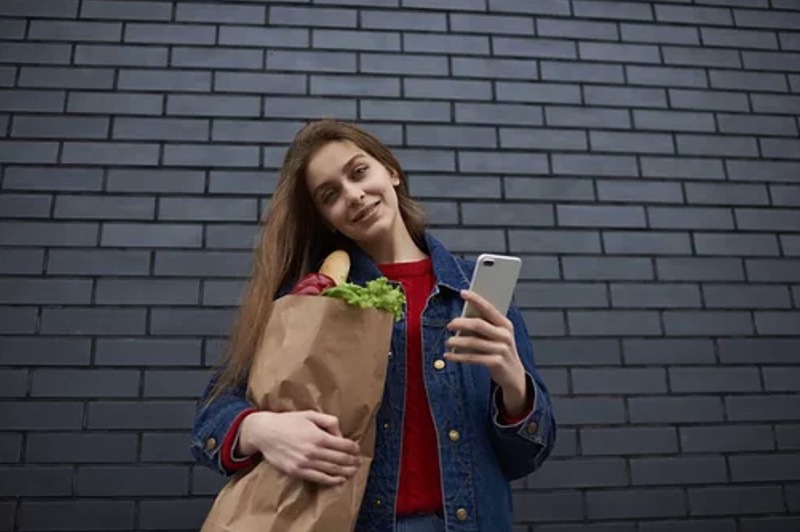 A smartphone is the most convenient place to write your grocery list; just create a list and set a reminder for your shopping trip. Planning your trip to the supermarket can also help you save money by helping you avoid impulse buys and/or overpriced products. Coupons are perhaps the most practical way to save money on groceries. It doesn’t matter if you sign up for a coupon-oriented website or clip them from the paper, coupons will ensure you get the most bang for your buck. They can also be motivation for trying new products and/or brands. Keep in mind, though, that your coupons will go even further if you wait until the items are on sale. Shopping with coupons during a sale will allow you to buy and save even more. No matter what you buy, always keep your receipts. Receipts can help you track how much you spend on food, as well as help you create an accurate budget. 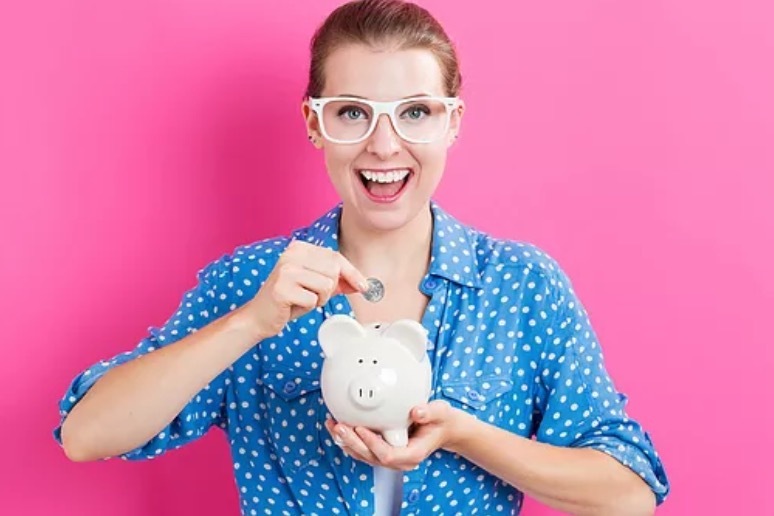 Besides that, if you shop at different supermarkets, it’ll help you figure out which one has the best deals and could help you save the most money. Not to mention, keeping your receipts will help you track overspending. Put a little fun into grocery shopping – yes, it is possible! Plan to go shopping with a friend or two. Friends can stop you from making impulse purchases and roommates can help share the cost of some food items. Plus, it just makes the shopping trip more fun. When you have everything you need in the kitchen to prepare food from scratch, you can save much more easily on groceries than you would if you had to buy ready-made meals. If you’re currently looking for places to rent in London, Ontario where you have access to a kitchen that’s great for cooking, check out the apartments here at Foundry First.